It’s widely known that sunsets in Cape Town are one of the most beautiful on earth. When the sun goes down and the sky becomes consecutively orange, pink and purple it can only mean one thing: it’s rooftop time in the Mother City! We have gathered up our favourite spots to enjoy great cocktails and stunning views. Already thirsty? Scroll down and check out all the chic rooftop bars. The Waiting Room is one of Cape Town’s rooftop bars, situated at the top of Long Street above the restaurant Royale Eatery. Offering a mixture of live music, DJ’s and fabulous views of the city below and the mountains surrounding you, it is the perfect place to dance or to enjoy after-work drinks. Are you ready to mingle, dance and have some fun? Well, you definitely have to check out The Waiting Room. Looking for delicious food, fancy cocktails and good music? Located in a 200-year-old house in the city centre, Tjing Tjing is a great spot to let a wonderful day come to an end. Through its unique decorations Tjing Tjing creates a perfect ambiance for a night out. Don’t forget to try out the attached restaurant which offers delicious Japanese food. 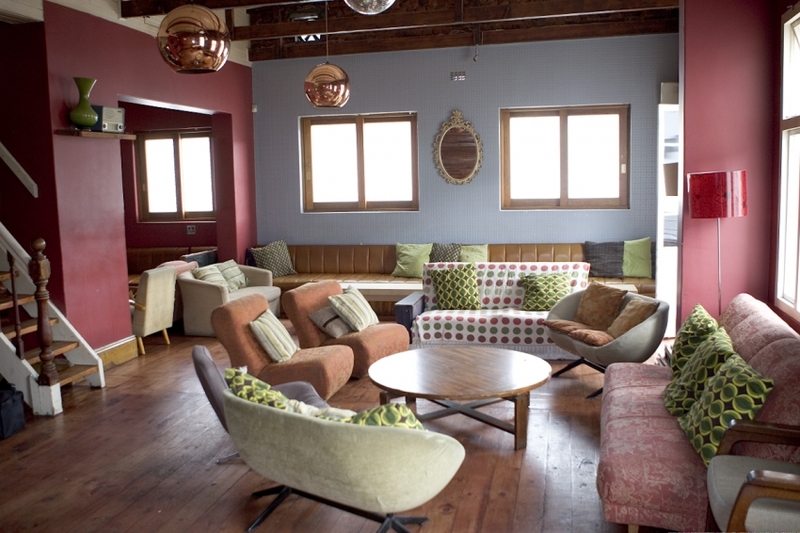 Definitely make sure to stop at Up Yours, which has become a great spot for after-work drinks and sundowners. 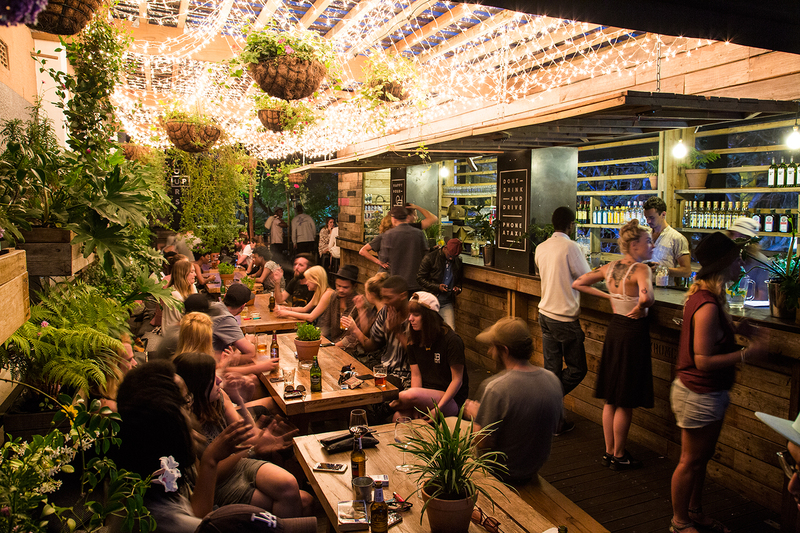 Great vibes, chilled live music, delicious drinks and great people make this rooftop bar in Cape Town a very special one. 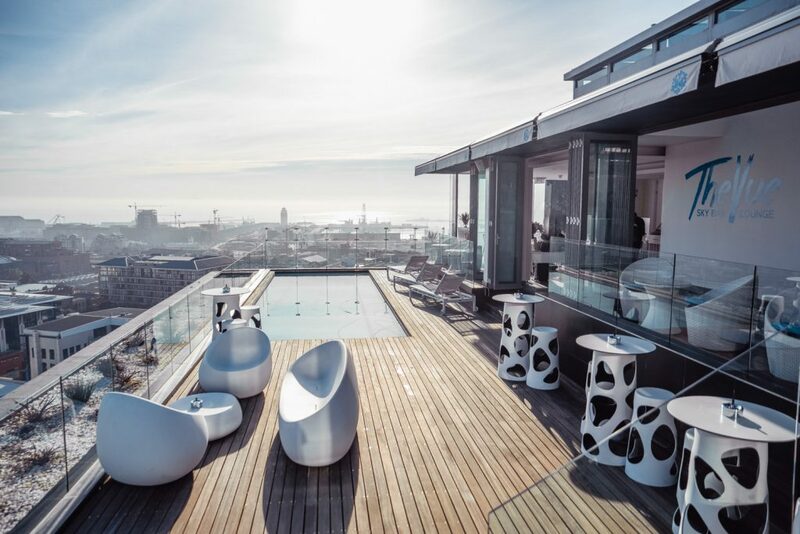 This modern rooftop bar offers breath-taking panoramic views of Cape Town, the Waterfront and Table Mountain. Apart from very delicious cocktails, The Vue serves up tasty tapas which are perfect to share with your friends. You don’t want to miss this bar!